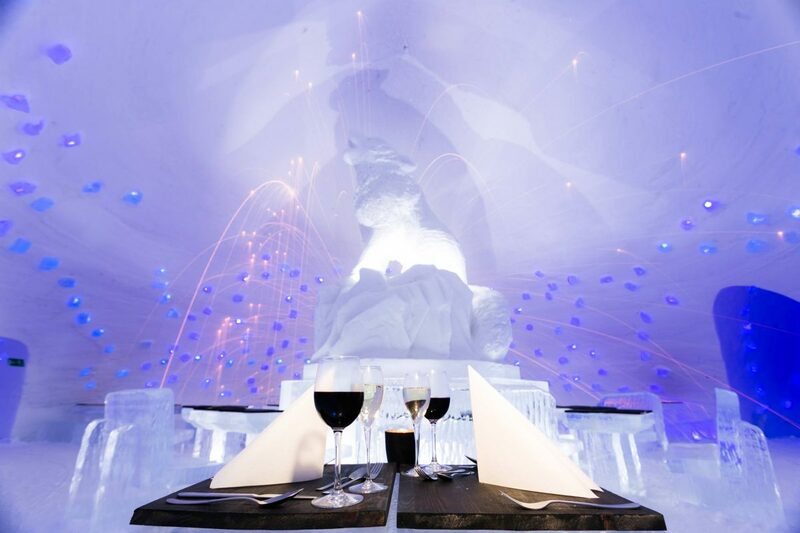 Each year, around 20 million kilos of snow and 350 000 kilos of crystal clear natural ice are used to build the spectacular SnowVillage which changes in shape, size and design to amaze visitors year after year. 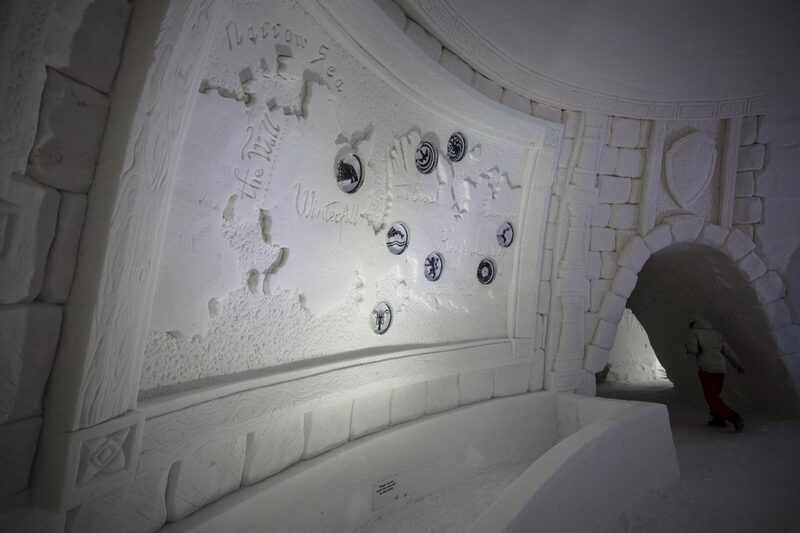 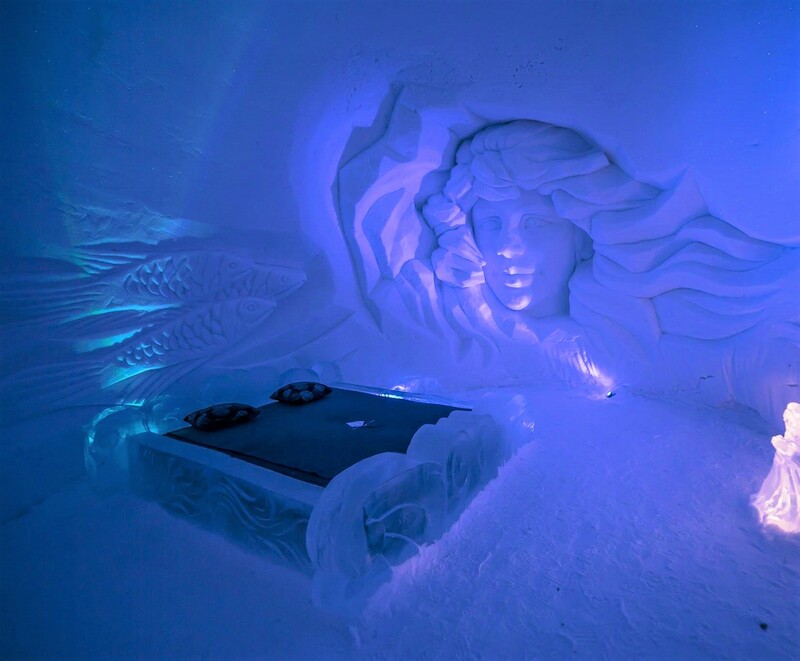 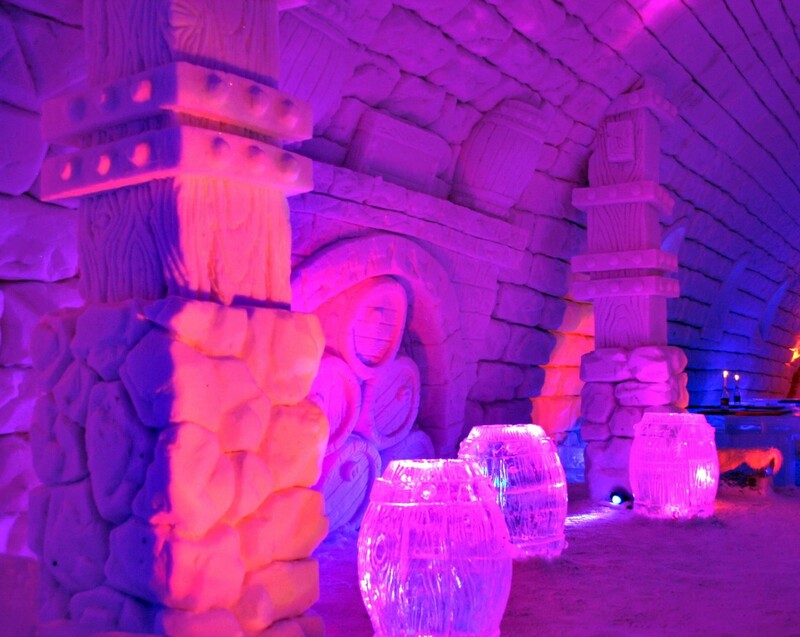 Covering an area of about 20 000 square metres, the SnowVillage consists of a Snow Hotel, with snow rooms and suites, Ice Restaurant, Ice Bar and Ice Chapel. 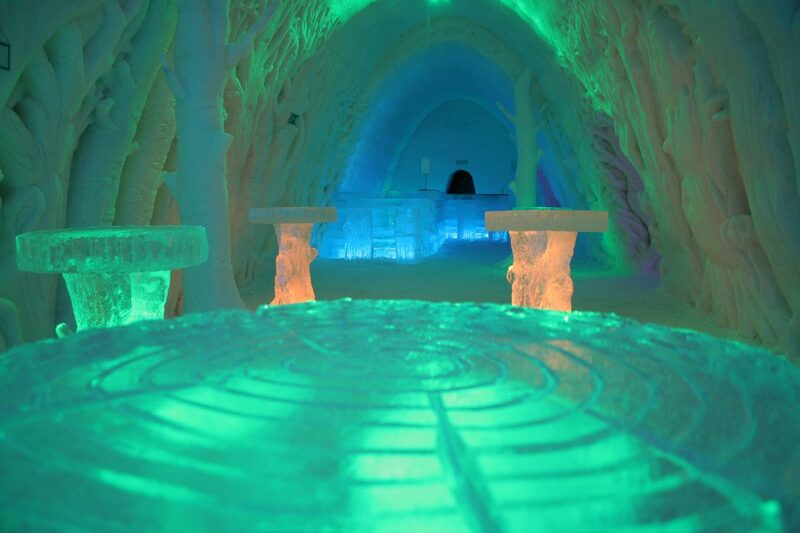 For weddings, couples can get married in an Ice Chapel with furnishings made of ice. 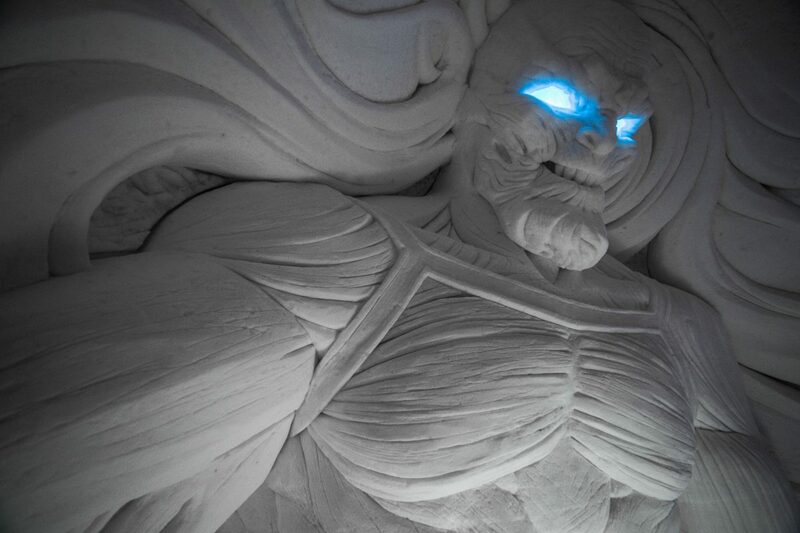 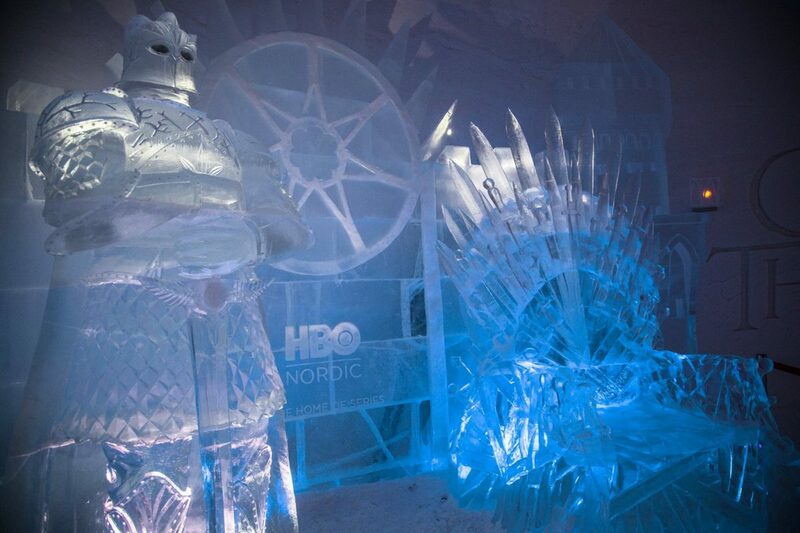 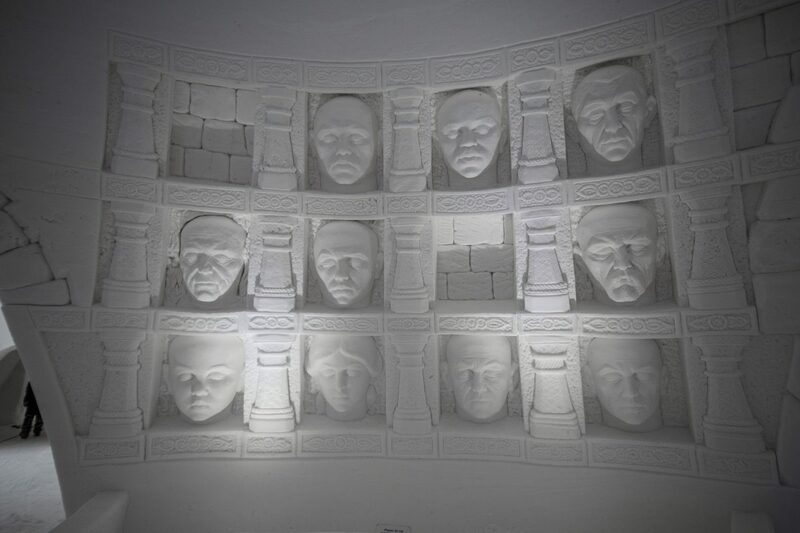 Last year, the entire hotel was Game Of Thrones themed – with rooms designed by sculptors from Russia, Poland, Latvia and Ukraine, designs included a life sized iron throne with swords, a scary Braavosi Hall of Faces and a White Walker with glowing blue eyes.